You could get a higher income by answering questions about your lifestyle. Even confirming your height and weight could mean more money. It is usually only possible to access your pension once you reach age 55. As a result we cannot get you an annuity quote online based on the age you have entered. We may be able to get you a quote if your pension has a protected retirement age or if you are unable to work due to ill health. 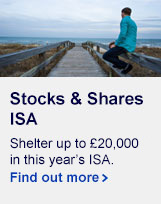 If this applies to you, or you want to talk about your retirement options, please call us on 0117 980 9940. Support & FAQVisit our support centre to answer any question you may have about your pension or this tool.